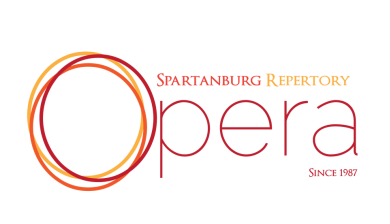 Spartanburg Repertory Opera, formerly known as The Spartanburg Repertory Company, is one of the only non profit, community opera companies in the state of South Carolina. Founded in October 1987 by Sharon Rouse Fridy, Spartanburg Repertory Opera has been serving the upstate community for over 30 years. The company is run by volunteers dedicated to enriching the lives of local citizens through the art of live performance, educating both young and old, and providing an outlet for Spartanburg's gifted singers to develop their talents on stage. Spartanburg Repertory Opera produces up to four major productions each year, including an educational program for local students, and specializes in standard repertoire from the traditions of light opera, operetta, and musical theatre. Each new season features carefully selected productions to delight returning patrons and appeal to new ones. We strive to expand our audiences by choosing productions that can be enjoyed by all ages and backgrounds, so that we can serve as many members of our community as possible with the beauty of music and the magic of opera. The mission of the Spartanburg Repertory Opera is to provide access to, and to nurture enthusiasm and appreciation for live opera and musical theatre performance for audience members and performers alike in Spartanburg and the surrounding areas, thereby enriching educational and cultural resources in the community. Sharon Rouse Fridy is Founder of The Spartanburg Repertory Company. She most recently performed as "Inez" in SRC's production of The Gondoliers, "Constance, the Charwoman" in Scrooge, Gilbert and Sullivan, "Ruth" in The Pirates of Penzance, "Yente" in Fiddler on the Roof, "Bloody Mary" in South Pacific, "Morgan LeFey" in Camelot, and she also has directed Cavalleria Rusticana and The True Story of Cinderella, in which she played the roles of "Santuzza" and "The Stepmother," respectively. "Sherry" is a past National Finalist of the American Opera Auditions in New York City, was a featured soloist for the International Platform Association in Washington, DC, and has distinguished herself as a vocalist in numerous areas across the US. She has a MA in Performing Arts in Music and Theatre from American University, Washington, DC, and a BA in Vocal Performance and English from Columbia College.